Kate is one of UNIT’s top people and the daughter of Brigadier Alistair Gordon Lethbridge-Stewart, the military man who was such a good friend to the Doctor. Revealing how much her father thought of the Doctor. She dropped ‘Lethbridge’ from her surname as she didn’t want any favours from UNIT. Kate Stewart is the Head of Scientific Research at UNIT, and as science now leads the organisation, that means she’s one of the people in charge. And so when millions of mysterious cubes began appearing on Earth she led the team tasked with monitoring and analysing them. After her research proved bootless and sensors detected a spike in Artron energy, she investigated and met the Doctor for the first time. He had been an old friend of her father’s and happily, the bond she soon developed with the Time Lord proved to be a strong and valued one. Kate is intelligent, quick-witted and has a dry sense of humour. She is prone to moments of doubt and anguish when the odds seem overwhelming, and at one point the Doctor gently raised her morale, reminding her that her father never gave in to despair. Kate’s most recent adventure sees her calling on the Doctor for help when Osgood is kidnapped by a rebel Zygon faction. It’s clear that the ceasefire, negotiated in The Day of the Doctor, has been broken. 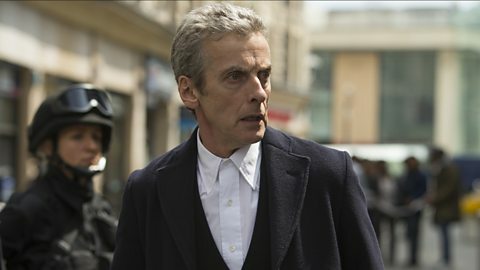 Kate is determined to bomb the rebel Zygon settlement, but the Doctor convinces her that this will only make the situation worse –threatening to radicalise every peaceful Zygon on the planet. When the Doctor is reunited with ‘Kate’ in the UK, he plays along, pretending he doesn’t suspect she’s a Zygon. But the moment Bonnie instructs ‘Kate’ to capture the Doctor, she kills the Zygon backup instead, revealing she is still Kate after all - Kate overpowered Norlander and has been double bluffing since she left Truth or Consequences.